Mampsis (also known as Mamshit and Kurnub) is the only walled city of the Nabateans. 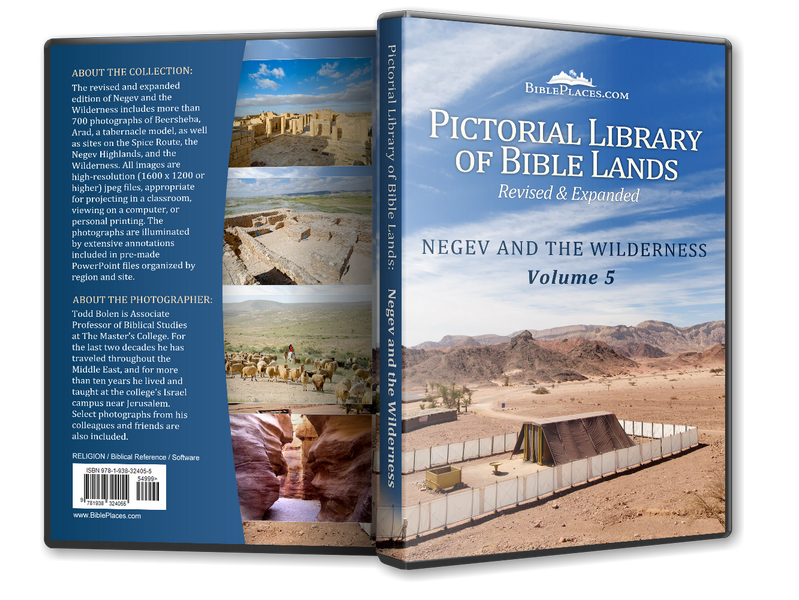 It is located on the main road leading from Judea to Petra. 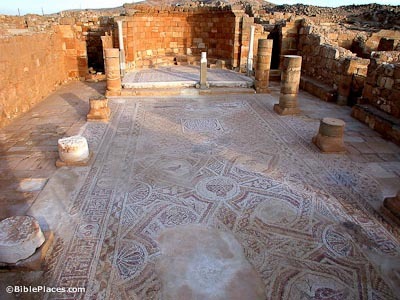 Mampsis includes ruins from three periods: Nabatean, Roman and Byzantine. Remains from the Roman period include a military cemetery, Latin inscriptions, and a bronze jug containing over 10,000 silver drachma and tetradrachma. Some of the buildings in Mampsis are very large, more than 1,000 square meters. Some are two or three stories tall and they were constructed with excellence. 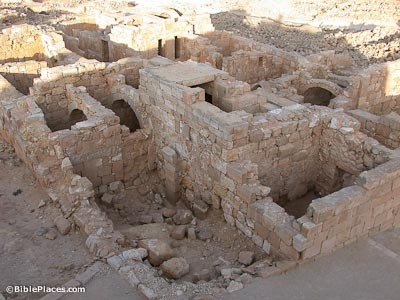 These structures demonstrate that the Nabateans were masters of masonry and stone dressing. Mampsis was excavated by Avraham Negev from 1965-73. He found that what looked like a heap of rubble was just the upper story that had collapsed on the lower. As a result, the lower levels were almost left entirely standing. 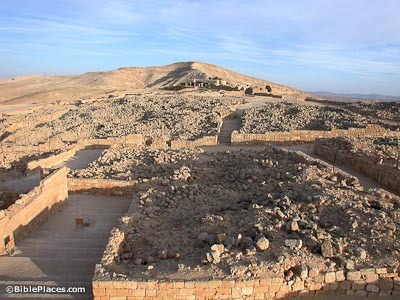 Since the excavations, the site has been extensively reconstructed. Two inscriptions in this beautiful mosaic floor mention “Nilos” as the builder. The church was probably built in the late 4th century. This church is smaller than the Eastern Church, but otherwise has the same plan. The inner measurements of this church are 56 x 32 feet (17.5 x 10 m). The cistern under the church’s courtyard received water from a channel that ran outside the city walls to collect water from the surrounding slopes. Next to the chapel of the Eastern Church was this baptistery, designed in the shape of a cross. 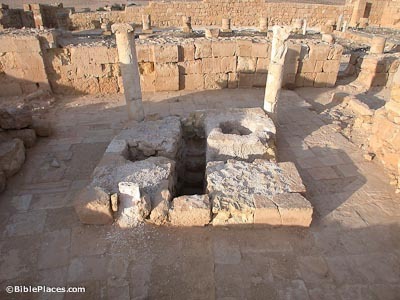 Baptisteries such as this one have been found at other Nabatean cities, including Avdat, Shivta (Soubaita), and Petra.